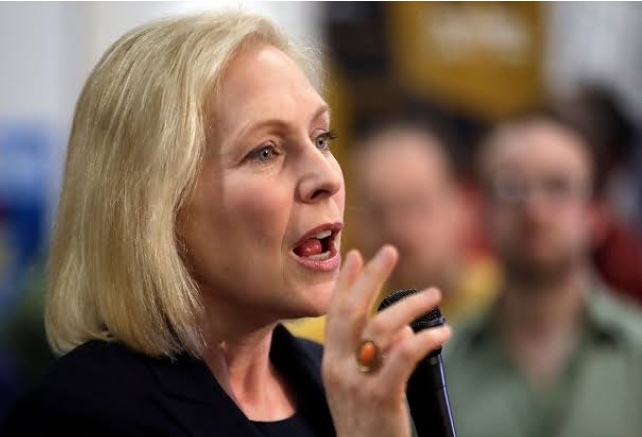 New York Senator Kirsten Gillibrand on Sunday officially announced that she would seek the Democratic Party’s nominatian for the 2020 presidential election, taking aim at Donald Trump as she formally joined the crowded field of challengers. 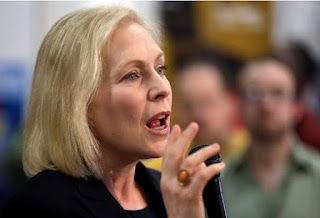 ● In an election cycle where Democratic candidates are tilting heavily to the left, Ms. Gillibrand touted her vote against the Wall Street bailouts supported by both major parties, pledged to work for universal health care, and pass the so-called Green New Deal, an economic stimulus programme aimed at tackling climate change. ● Ms. Gillibrand joins more than a dozen Democrats already in the race, including Kamala Harris, Beto O’Rourke and Cory Booker, in addition to independent Bernie Sanders. ● But she has distinguished herself in key ways, raising her national profile by sponsoring a Bill that would revamp how sexual assaults in the military are prosecuted by removing them from the chain of command. ● The Bill fell short in the Senate, but Ms. Gillibrand has been relentless about highlighting sexual assault in the military, on college campuses and in the workplace. ● She is also one of the top Trump naysayers in the Senate, voting against the President’s nominees for major posts more than almost any other Senator.